“Why didn’t you take your Porsche?” I asked my friend, Pat. I was 21 years old. Pat was ten years my senior. He had a knack for investing in real estate and stocks, so he was relatively wealthy for a guy his age. Pat owned two vehicles. One was a Porsche 911 Carrera. The second was an old, beige Toyota pickup truck. Pat and I were sitting at an outdoor coffee shop. The night before, he had taken a beautiful woman out for dinner, someone he met just two days previous. “I picked her up in my truck,” he said, “because the Porsche sends the wrong message.” As a 21-year old with limited life experience, I thought Pat was crazy. Next to a puppy, (nothing beats a puppy!) I figured few things would attract a girl as effectively as a Porsche. Research says I was wrong...and right. They wanted to see whether “savers” or “spenders” were viewed as more attractive. In a 2014 Wall Street Journal story, author Paul Oyer wrote that men should “burn a big pile of money on the first date.” But Olson and Rick learned something different. They conducted eight experiments to see whether savers or spenders were deemed more attractive. Subjects were under the age of thirty. Some of the experiments were set up like an online dating venue. Others were face-to-face. The research team hired the singles that responded to the questions. They repeated the experiment several times with other single students. Each time, the researchers asked the hired subjects to alternate their responses: claiming to be a spender during one session and a saver during the next. This reduced any bias towards physical attractiveness, which might have skewed results. The savers proved more appealing. 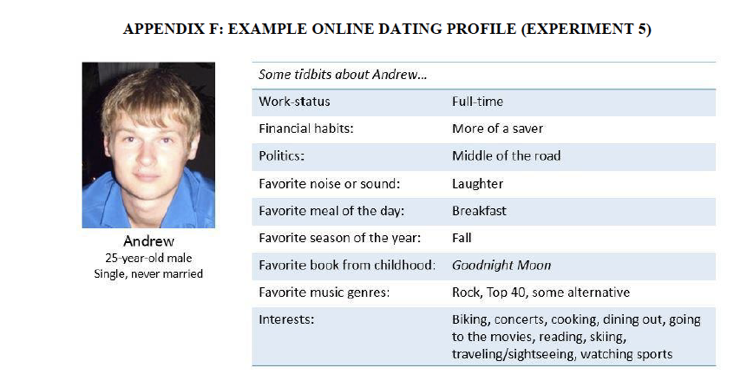 Olson and Rick also ran several online dating experiments. Subjects chose a gender of their preference (so they didn’t just include heterosexual students). The profiles showed whether each person was more of a saver or a spender. Other times, spending habits were inferred. The profiles revealed, for example, what each subject would do if they won a windfall of cash. Researchers also altered the pictures, changing the subjects’ levels of physical attractiveness. They didn’t want the subjects’ appearances to interfere with the variable they were studying. Once again, the students indicated they preferred to date the savers. Perhaps, if this experiment were conducted 30 years ago, the results would have differed. The spenders might have had more money, which might have attracted more interest. But today, credit card abuses muddy the waters of perception. There was just one wrinkle in the study. If the subject spent money on something exciting, that attracted interest. In a separate study that included 900 university students, the same researchers asked subjects to determine the level of attractiveness of two people. One owned a Porsche. The other owned a Honda. The Porsche was a short-term magnet, for both men and women. But when subjects were asked to pick a person for a long-term relationship, most picked the Honda owner. Practicality and frugality appeared to be the winner. This brings me back to my friend, Pat. Perhaps he should have driven his Porsche on every first date. If he thought the girl was great and he wanted to commit, he could have said, “I’m going to sell the Porsche. I want to put the proceeds in my retirement account.” Come to think of it, that’s eventually what he did.